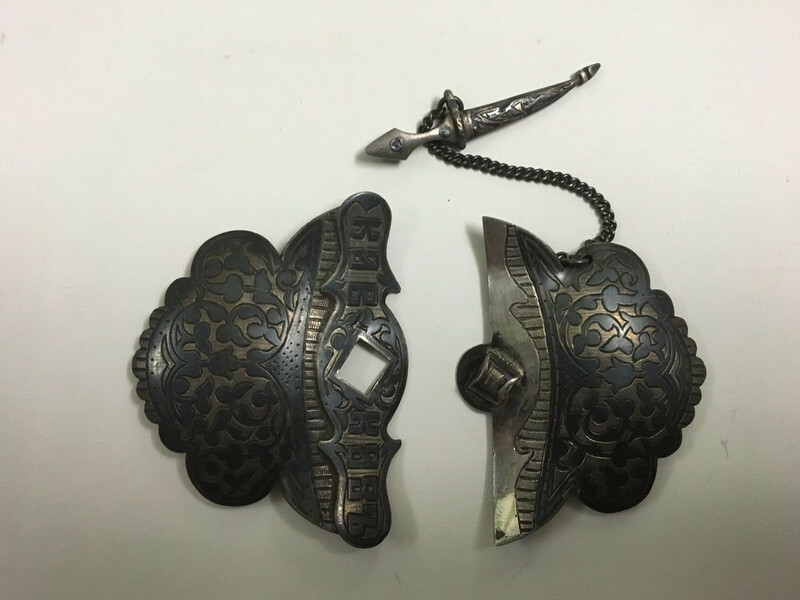 Hey anyone help me out if they know anything about this Caucasus belt buckle? 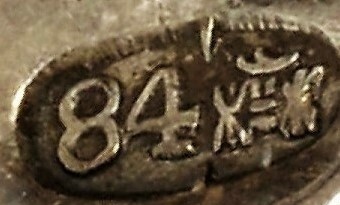 Can't tell by the marks the details of origin and authenticity except that its 84 grade sterling silver. Any help is appreciated! Thank you Trev for your help, next post I will edit the right way. 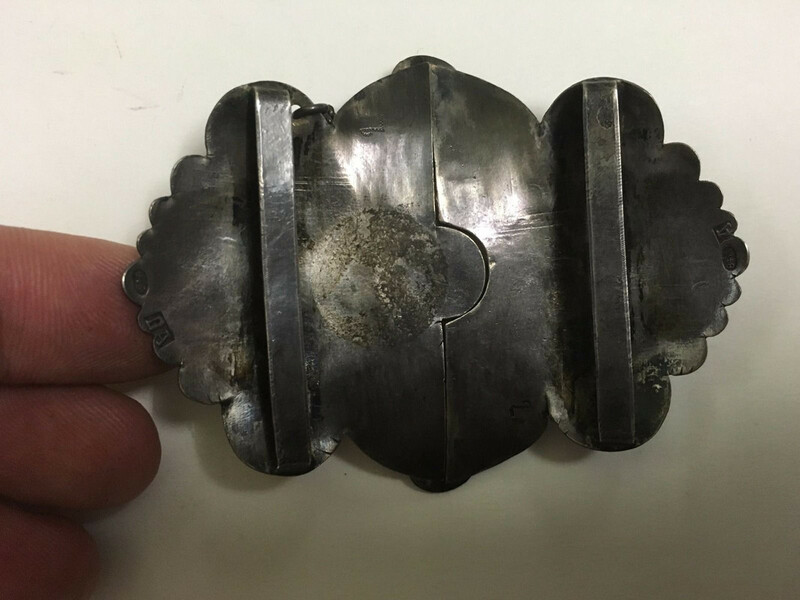 Rather common Caucasus souvenir belt buckle in niello technique. 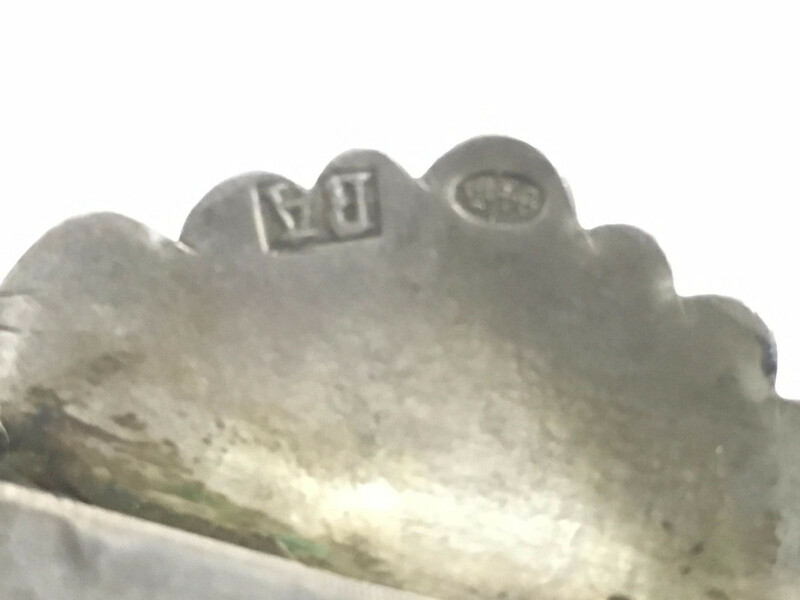 Sharper images of the assay office mark are needed to distinguish the ship for Kostroma and StGeorge for Moscow. Thanks a lot for the info, very helpful. I will look into it and I'll submit close up pictures soon. Values are not common in this forum! Thanks for the help. I didn't know about the values in the forum, sorry I am new to this. 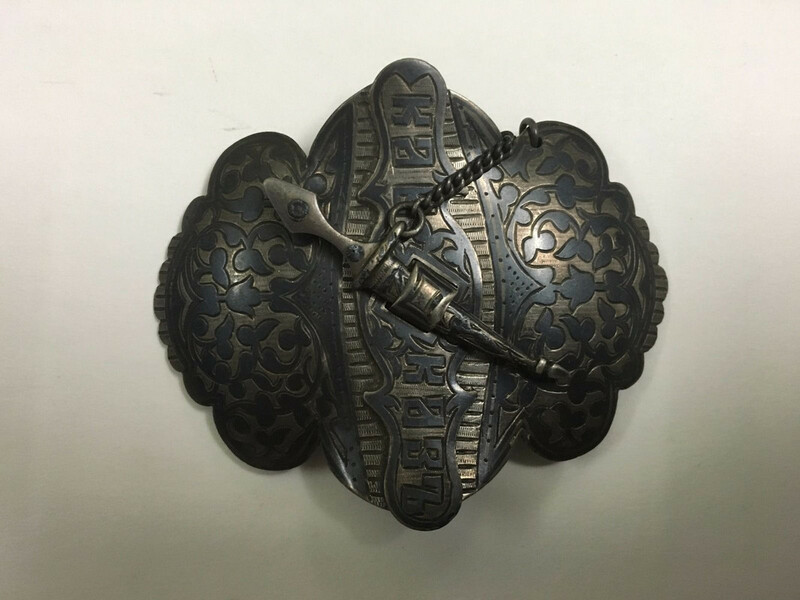 This Belt Buckle was made in Novocherkassk 1882-1899. It isn't " part of the national costume ". It was souvenir for the memory of the Caucasus. Novocherkassk was known for Caucasus souvenirs in niello. Not a single maker is identified in PL. This is the mark you should see with good magnifying glass (rather complicated coat of arms simplified in the mark used in late 19th century).